How Do I Meet New Friends In My Area? If you are eager to make new friends, there is now a simple way to do so! You can use an app for making friends to find lasting friendships! We are going to share a few apps you can use in this day and age to find meaningful friends. If you are no longer in college or you have a busy work schedule, it sometimes gets really had to make new friends. 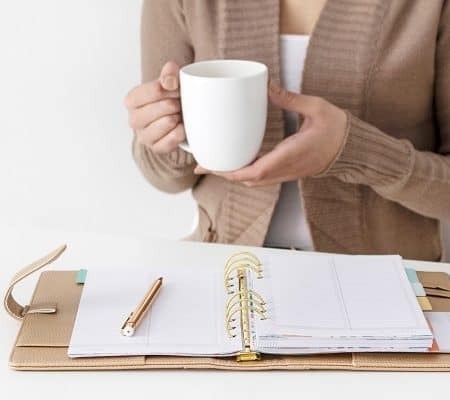 More women are becoming female entrepreneurs and this alone can become lonely if you run a solo side business! With a lot of inspiring women entrepreneurs on the rise, making friends can be really difficult. But with the rise of apps, you can now make friends easily. I am so glad that they have invented an app for making friends, in fact, several apps are now on the rise. Which is the best App to Make New Friends? 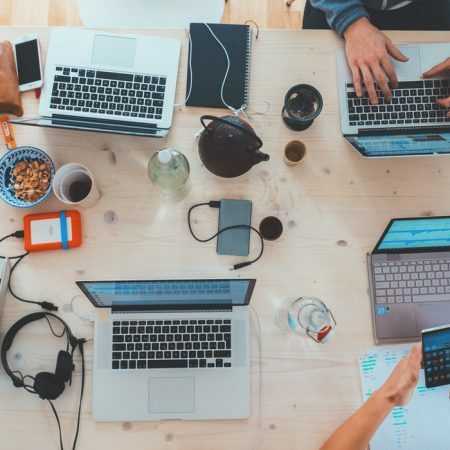 Technology has evolved and more and more people are using the internet to find jobs, make new friends as well as to make money and even to save money. We wanted to take a moment to share only the best and most secure apps that can be used to meet and make new friends. If you are someone that is finding it hard to make friends, I will ask you to give these apps a try. 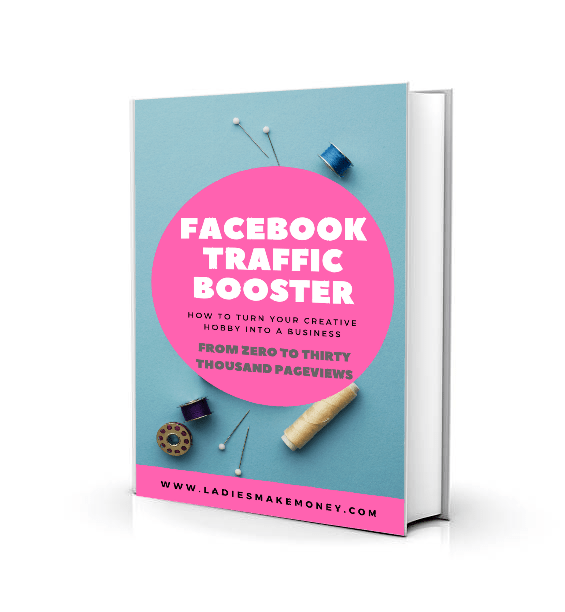 Before we get started on the best apps to make friends, we did want you to follow us on Facebook for more awesome ideas on saving or making more money. You can also follow us on Instagram for more tips. 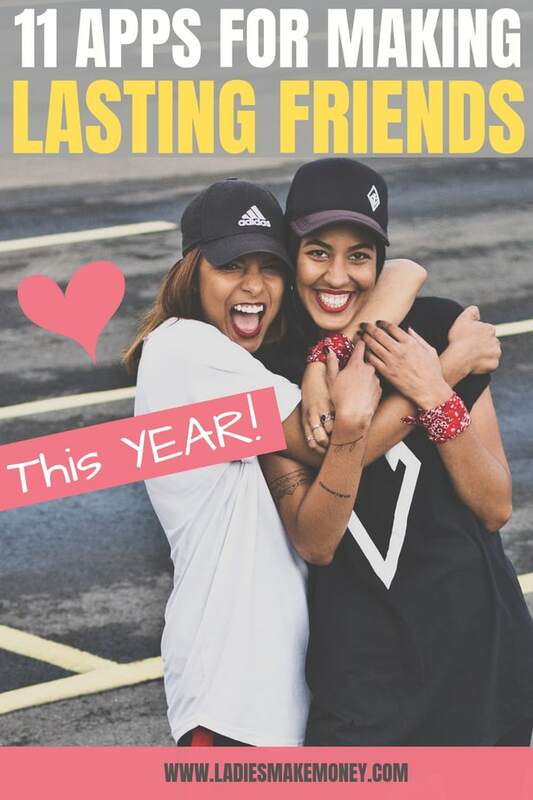 Use these apps to make friends if you are looking for lasting friendships! We all need friends that we can rely on, hang out with and just to have fun with. 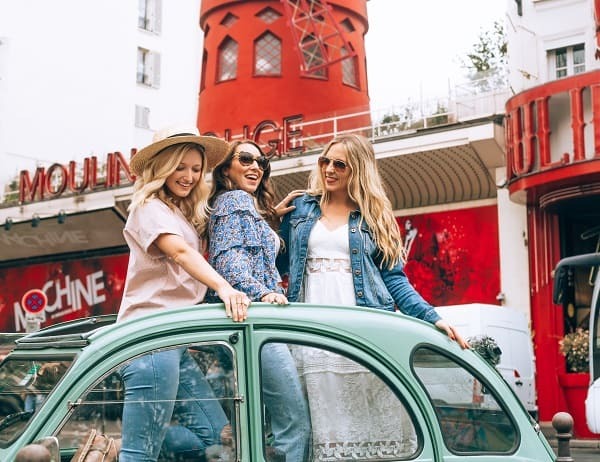 If you are looking for things to do with your new BFF this summer on our latest post has amazing little tips to try out! 1// Is Bumble BFF Free? They are two apps, Bumble which is for dating and Bumble BFF for finding platonic friends. Be sure to pick the right one! I believe this is the perfect app for making friends and you much give it a try. Like Tinder, the app uses the swipe function. Go ahead and create a profile for yourself, add your best photo and bio for people to get to know you. 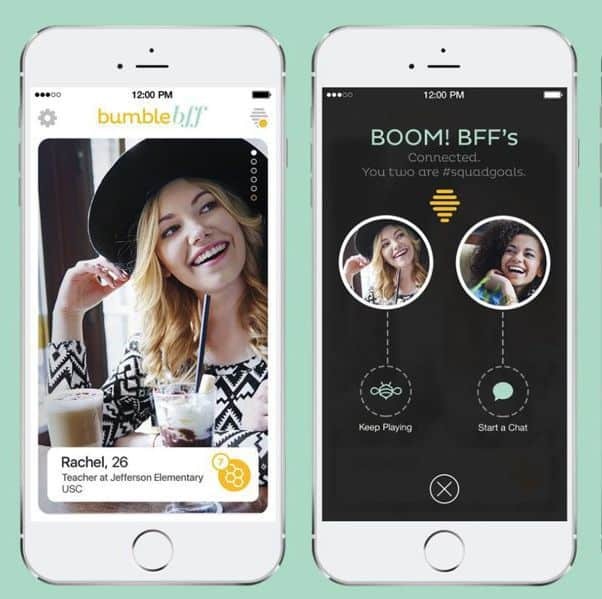 Is Bumble BFF free? Absolutely! 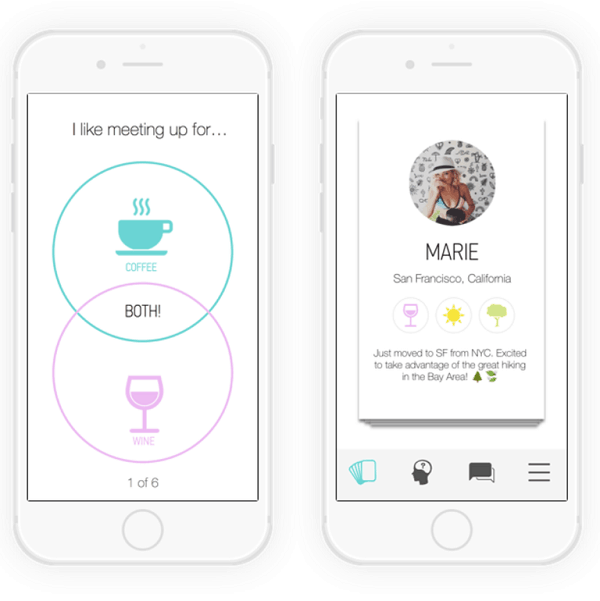 Meetup is a great app for finding friends as it allows you to find matches based on your interests. This ensures you actually use the app to find friends that have the same interest as you do. 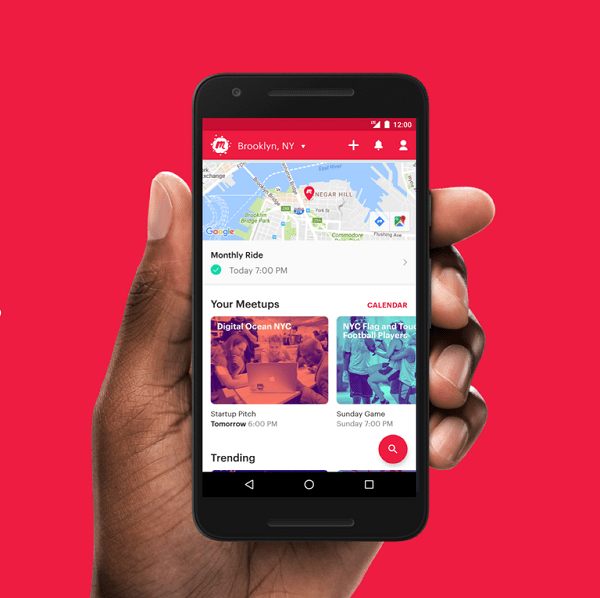 Sign up with the Meetup App for free! Friender is another cool making friend app as it also allows you to also make new friends based on your common interests. 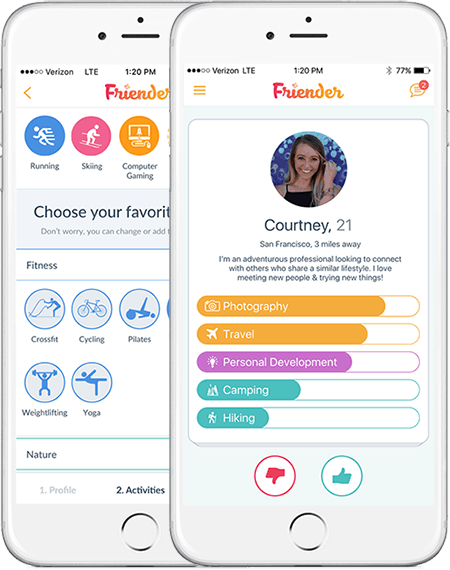 Once you log on to the free app, create your profile and choose your interest, you will only be shown other friends that you share common interests with. Friender is the place to connect with new people and make new friends. Sign up with this amazing app to find friends today: Friender! The Hey! 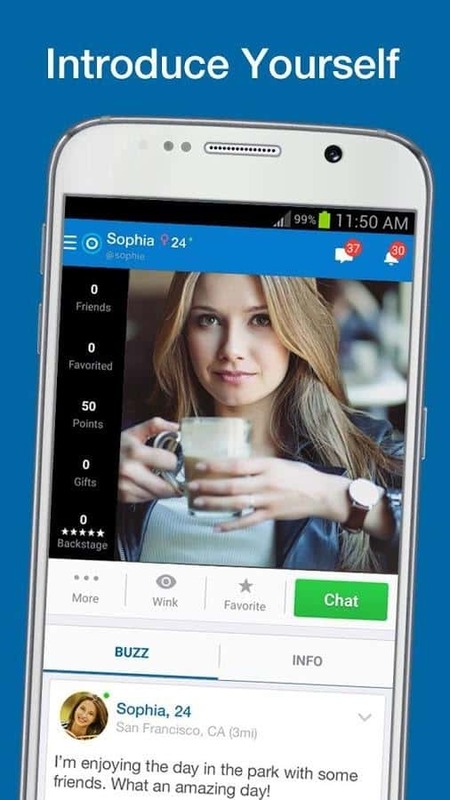 Vina App is known as the Tinder for (Girl) Friends! That is pretty amazing. This app is currently only for women. Users can create a profile using their Facebook page and answer six questions regarding their personalities and preferences, and the app will immediately start matching them with like-minded friend-seekers in their area. Sign up for Hey! Vina here! Peanut is the app for mothers. 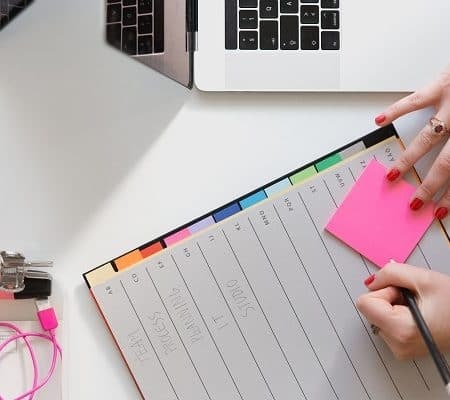 They make it easy to connect and learn from like-minded women because let’s face it, the more women in your life, the better it becomes. 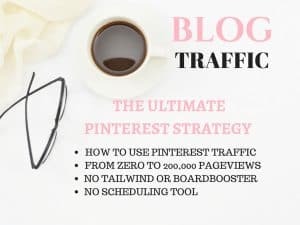 As a mom to a beautiful daughter, finding other mom friends while on maternity leave, gave me the opportunity to really connect and feel part of a community. This was ideal and best for me mentally! 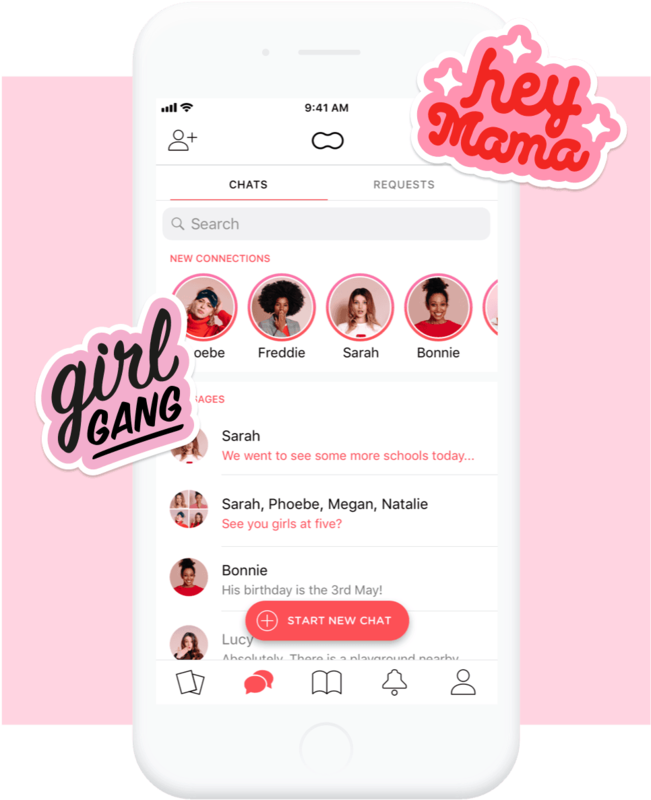 If you want to connect with other mom friends, be sure to use the peanut app! Is there an app like Tinder for friends? Yes! As you can see, we have given you a lot of options in terms of apps you can use to make friends. 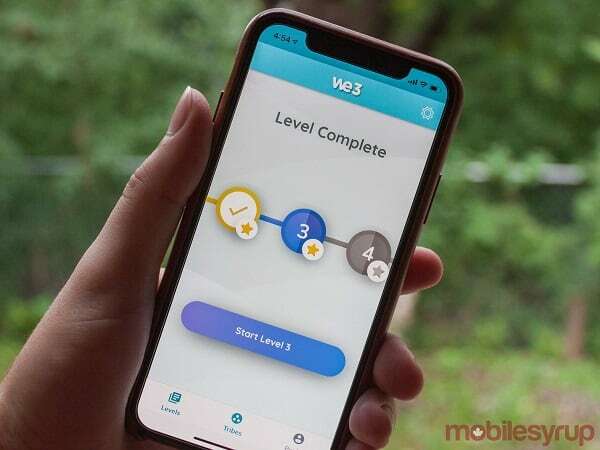 So what is the We3 App? We3 is the friendship app where you swipe cards about your personality, lifestyle, beliefs, values…and We3 will add you to Tribes of 3 shockingly compatible people of the same gender. It also reveals your shared traits, mutual interests and common goals. Talk about making friends the fancy way! PS: We3 used to be Me3 and it has officially changed it’s name! Sign up for it here! Hello Mamas was founded by Meg, Julia, and Christa – three very different moms who each experienced challenges when it came to finding mom friends. They created an amazing web app designed to take the stress out of finding local moms, making friends, staying social, and planning play dates. If you are feeling lonely as a mom, go ahead and sign up for your free Hello Mamas account to meet local moms, plan play dates for your kids, and get the support every mother needs to really enjoy motherhood! Nextdoor is the best way to stay in the know about what’s happening in your neighborhood. Whether it’s finding a last-minute babysitter, learning about an upcoming neighborhood get-together, or hearing about a rash of car break-ins. There are so many ways our neighbors can help us. Nextdoor is an easier way to connect with them. Use this as an opportunity to meet new people. Sign up for Nextdoor here! This is not a dating APP! Patook is an app and website that allows you to make strictly platonic friends with people nearby who share your interests. No flirting allowed! You will be matched with a friend based on a points system. 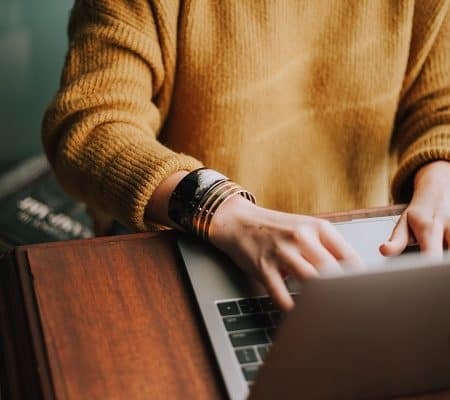 Go ahead and apply for a profile, you will be asked to rank various traits such as your gender, interests and other preferences. They then match you with the highest accumulated number based on the traits you choose. Check it out for yourself! Scout makes it easy for you to make social connections from friendship to networking! With your mobile device as your guide, you can discover new friends at the local neighborhood bar, at a concert at Madison Square Garden or on a bus tour in Barcelona. Scout has connections in over 100 countries, meaning wherever you go, you can always scout out new friends. Sign up for Scout here! Apps to make friends are on the rise. Have you used any of the ones on the list? What did we leave out? Let’s chat below! Find more amazing Lifestyle Stories here! With everything on the web it’s not surprising that it can bring people closer together in one way or another. I have Nextdoor and it’s so nice to feel like you are part of the community even if you just moved there. Awww I am so glad you have one of the apps for making friends. 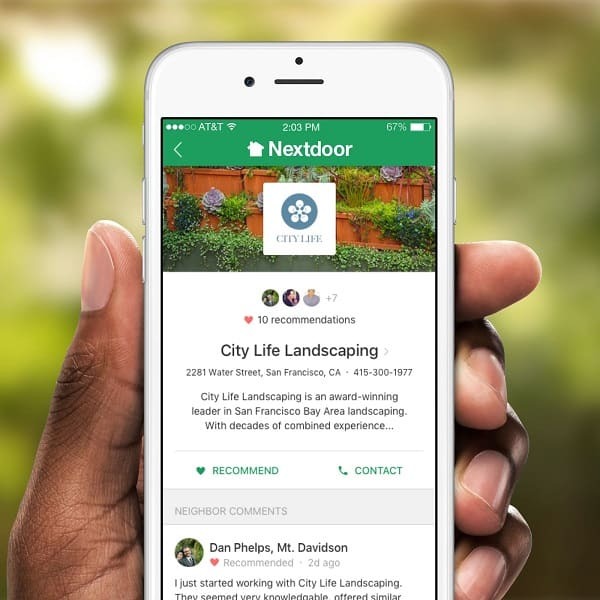 How do you like Nextdoor? The community part is definitely amazing!